Записан в июне 1990 года на VRAG Studio, Баку. © 1990 VRAG Records. Produced by Vladimir Raguimov. 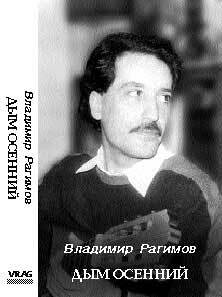 All compositions, vocals & acoustic guitars by Vladimir Raguimov. Poetry by Sergey Sapozhnikov & Joseph Brodsky. Recorded at VRAG Studio, Baku, Azerbaijan. Engineers: Vadim Mirzoev & Jashar Bahishev. A special thanks to my friend Sergey Sapozhnikov for his enchanting lyrics.